Alive! 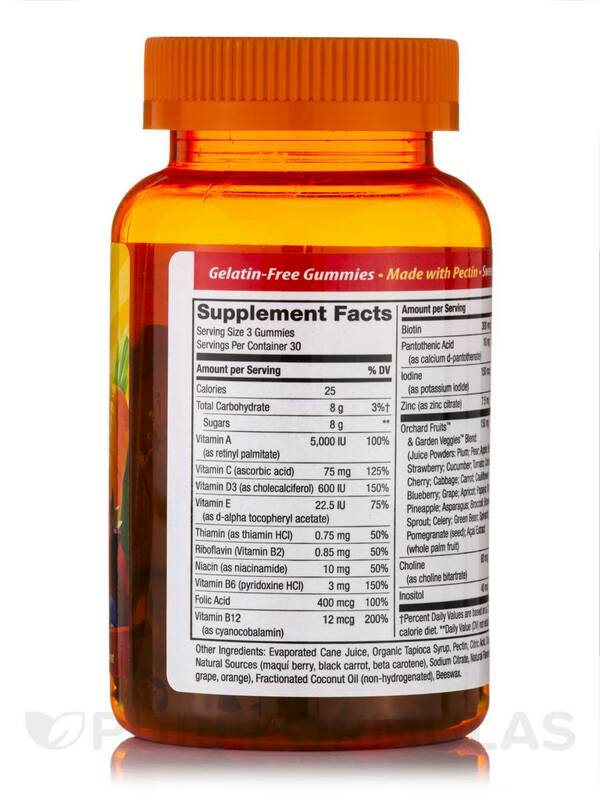 Adult Gummy Multi-Vitamin by Natures Way has an awesome taste. Alive! 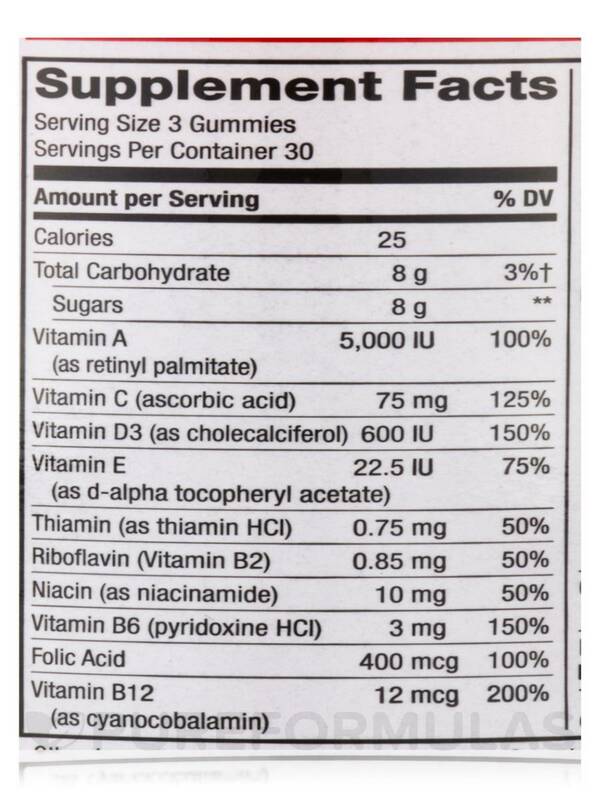 Adult Gummy Multi-Vitamin by Nature's Way contains great vitamins! Absolutely love Alive! Adult Gummy Multi-Vitamin by Natures Way. Great price & quality. Nourish your health from within with Alive!® Adult Gummy Multi-Vitamin - 90 Gummies from Nature’s Way® and its multivitamin formula may cover all deficiencies. 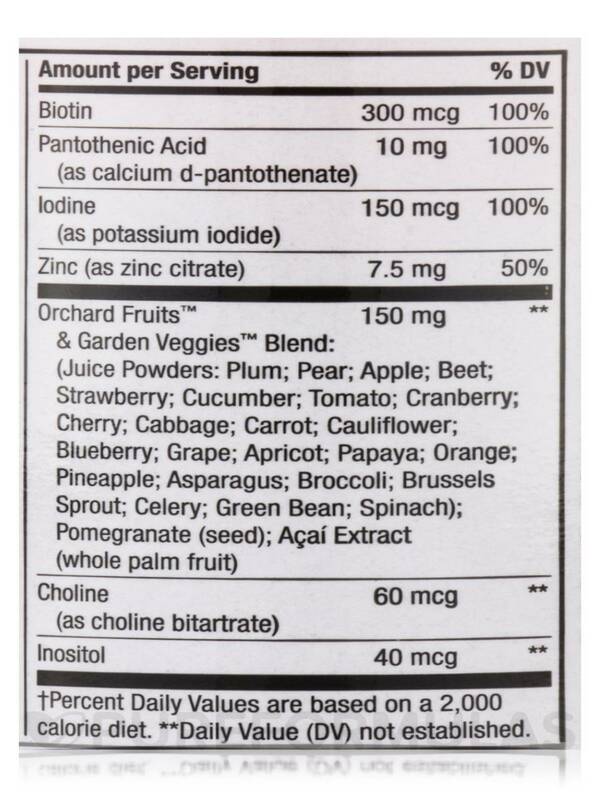 Containing Orchard Fruits™ & Garden Veggies™ Blend‚ it provides entire gamut of B vitamins along with vitamins A‚ C‚ D3‚ E and minerals such as iodine and zinc. Plum juice powder in this natural supplement from Nature’s Way® contains an assortment of minerals and vitamins such as vitamins A‚ C‚ K‚ E and B-complex. It also has minerals like zinc‚ iron‚ potassium‚ calcium and magnesium. Apple and pear contains pectin that is a water soluble fiber. Studies show that pear has vitamins B2‚ C‚ E and minerals. Apple is high in vitamin C content. Brussels sprouts may be rich in valuable vitamins C and K and other essential nutrients such as folate‚ manganese‚ choline‚ vitamin B1 and omega-3 fatty acids. Apart from other nutrients‚ acai berry‚ blueberry cranberry are rich in antioxidants that may enable your body to fight free radical damage. Choline in Alive!® Adult Gummy Multi-Vitamin - 90 Gummies from Nature’s Way® may prevent liver conditions and boost nervous system health. Evaporated Cane Juice‚ Organic Tapioca Syrup‚ Pectin‚ Citric Acid‚ Colors from Natural Sources (maqui berry‚ black carrot‚ beta carotene)‚ Sodium Citrate‚ Natural Flavors (cherry‚ grape‚ orange)‚ Fractionated Coconut Oil (non-hydrogenated)‚ Beeswax. Adults and children 4 years of age and older‚ chew 3 gummies daily. I already take quite a few capsules of other supplements. And since I have a hard time swallowing them all, I thought gummies would be a great alternative. But I find the taste of Alive!® Adult Gummy Multi-Vitamin (Assorted Flavors) by Nature's Way vile, and I cannot eat them. No one recommended them to me, but from the description provided they sounded good. Because I cannot eat them, I have no idea whether or not they are effective. 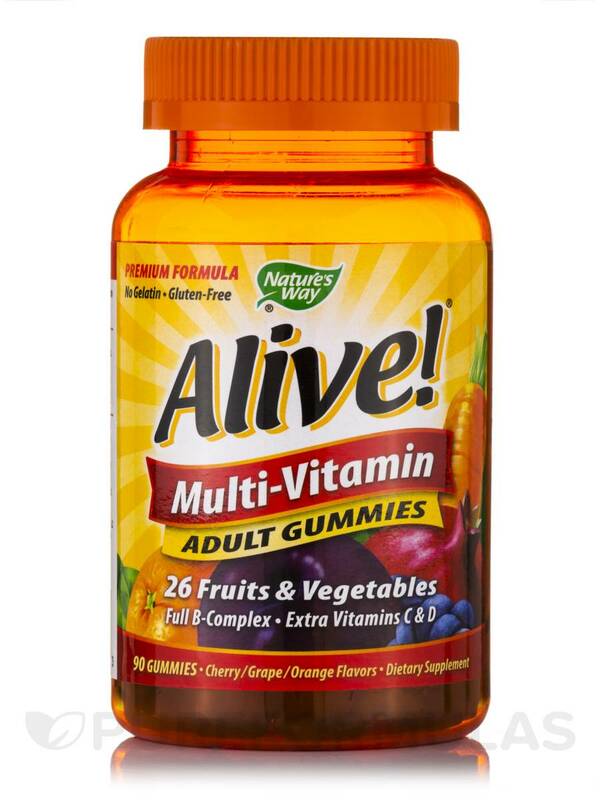 Alive!® Adult Gummy multi-Vitamin (Assorted Flavors) by Nature's Way has a great flavor, and great value for price! Alive! 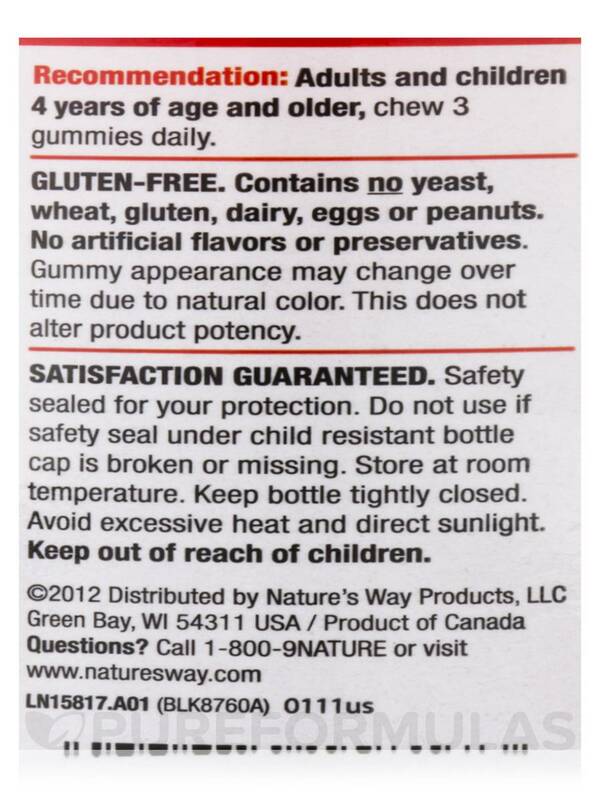 Adult Gummy Multi-Vitamin (Assorted Flavors) by Nature's Way is finally a gummy with no high fructose or corn syrup! Love it! I would take two Alive! Adult Gummy Multi-Vitamin (Assorted Flavors) by Nature's Way in the morning before my long day at college. Did not feel as fatigued as before and they were quite yummy! Don't get me wrong - I love the Alive co. I have taken several other of their multis and really loved them. Not so much with Alive! 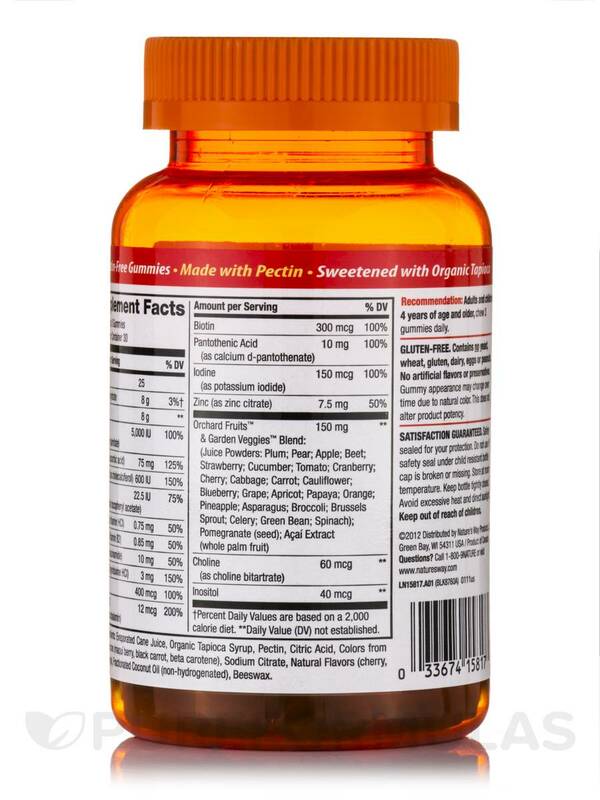 Adult Gummy Multi-Vitamin by Nature's Way. I didn't feel the effect nearly the same. Didn't work nearly as well as their wonderful pill multivitamins. I was disappointed in this expense for these. Alive! Adult Gummy by Nature's Way is the best vitamins I have ever taken...just like a candy treat! Finally a vitamin my daughter will take. Alive by Nature's Way taste wonderful and has great texture. I have no problems taking them daily. Nothing, these are the first gummy multivitamin I actually enjoy taking. I absolutely love Alive! 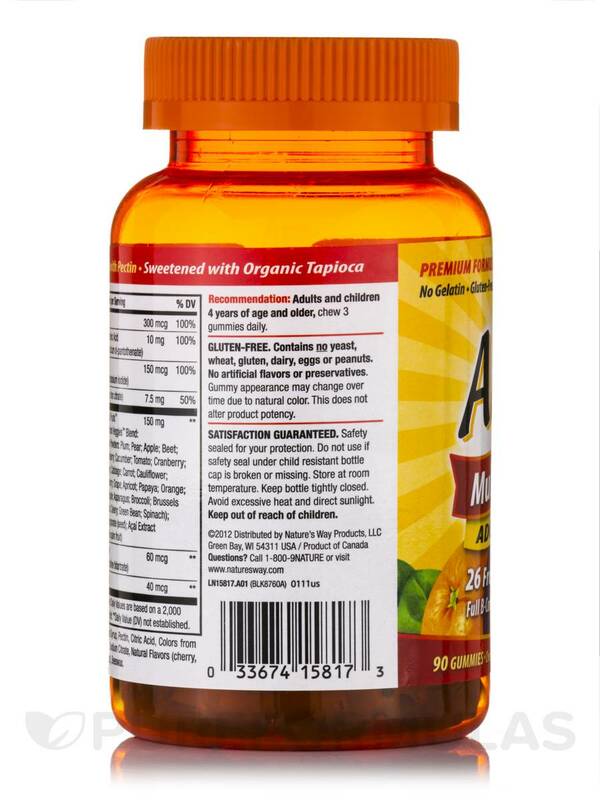 Adult Gummy Multivitamin by Nature's Way. They taste great and I feel like they really help. Unlike, the boring multivitamins' pills, I actually remember to take these every day. Will definitely order them again. The taste and they're perfect for someone who dislikes swallowing pills on a daily basis, they come in so handy, especially if you're in a hurry in the morning. I don't know why I can't seem to take multivitamins as it seems to make me feel bad. I tried Alive! Adult Gummy Multi-Vitamin by Nature's Way and they made me feel worse. than any brand I've ever tried. I will just continue to take vitamins individually instead of trying multivitamins.